A private museum in south-west Germany has bought a portrait by Swiss artist Jean- Etienne Liotard (1702-89) from London Old Master dealer Derek Johns. A portrait of Mme Paul Girardot de Vermenoux sold by London Old Master dealer Derek Johns to the Karlsruhe Museum in Germany for €1.4m (£1.2m). 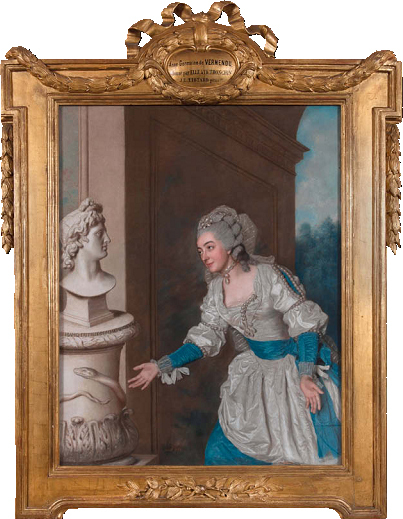 Karlsruhe Museum, in the Baden- Württemberg area of Germany, paid €1.4m (£1.2m) for the portrait of Mme Paul Girardot de Vermenoux that is signed and dated 1764. Executed in pastel on a single piece of vellum measuring 3ft 11.5in x 3ft 1.5in (1.2m x 95cm) – the largest known work by the artist in this medium – it is believed to have been painted because of a rivalry between two well-to-do women of the period. Liotard was commissioned to paint Mme Vermenoux in 1764 as a gift to her doctor, Theodore Tronchin in Geneva. It appears Mme Vermenoux was aware the artist had painted the fashionable writer Madame d’Epinay five years earlier – a picture also gifted to the Swiss doctor. The painting appears in the catalogue raisonné of Liotard by Roethlisberger & Loche (2008) and was previously in a private collection in Geneva.